If you’ve noodled around on my blog, you may have noticed that some of my recipes are very practical and easy, and some of my content is more… nuanced and involved. This is because sometimes I just need to get yummy food on the table, stat, and sometimes I like to play a little and research a little deeper with some things. Flour is a topic that I have delved deeeeeeply into. Like, fallen down the rabbit hole deep. I realize that most people haven’t given flour much thought. And if you are one of those people who haven’t thought about flour or simply pick up a new package at the store when you run out, that is totally fine. And probably very normal. But I was curious about the nutrition aspect of flour and why it is so demonized by certain groups today when bread has been eaten for years upon years. The TL;DR answer is that I use freshly milled home ground wheat flour. But the flour is only one part of the equation for health. The oldest and most nutritionally beneficial preparation for bread is sourdough and other forms of fermented bread. Come to find out, sourdough isn’t just a flavor. Authentic sourdough bread uses a wild yeast starter for the rise of the bread instead of relying on manufactured yeast packets. Wild yeast fermentation is what’s been used for centuries upon centuries. I would LOVE to have one of these awesome NutriMill stone-ground machines for my kitchen. Aren’t they gorgeous?! If you have time, watch the video. But I think my hubby might croak if I bring another appliance into the kitchen. Ha! I’ve been saving my bargaining for a KitchenAid mixer soon, and I know there are attachments for that to grind flour. I’m way too impatient to wait for that purchase, though. Using the tools I already have, I decided to use my Vitamix for grinding my flour. I had to buy the dry container for grinding wheat, which costs around $100 on Amazon. Grind up to two cups at a time in the dry container. I buy my wheat berries in bulk at Whole Foods. You can bring in any size container and fill it, so long as you get it weighed at customer service first. So I’ve got one of my old Tupperware containers that we used for cereal to hold all my gorgeous wheat berries. It does a great job grinding the flour to a fine consistency. I do lightly sift the flour afterwards to take out the larger pieces of bran that can puncture the bubbles in the bread dough and cause a denser loaf. When I was at the Homestead Heritage a few months ago for my sourdough bread class, I got to see their historic wheat mill in action. That was amazing! I got to meet their miller, who gave us this interesting factoid: The saying “keep your nose to the grindstone,” comes from millers, not blacksmiths and blade sharpeners. It has to do with grinding wheat and making sure that the wheat doesn’t get too hot and destroy the nutrition. Millers know how the wheat smells at various temperatures and that’s how that saying evolved. Even when I was standing there in the creaky old wooden mill with those massive stones turning and turning, he could notice the difference in the smell of the wheat and made adjustments as we stood there talking. It was a fascinating experience that I highly recommend. The Homestead Heritage in Waco is a great place to learn about traditional cooking techniques. And speaking of heat and grain, whole wheat flour spoils more quickly than regular flour because it has all of the natural oils from the entire wheat berry. Once I grind it, I store my flour in the freezer until I’m ready to use it. If you are curious what research lead me to my conclusions, I can point you to several resources. You truly must watch the documentary Cooked on Netflix with Michael Pollan based on his book of the same name. He thoroughly explores the process of fermentation and its role in health. Seriously, stop right now and add it to your queue. I would also highly recommend Always Hungry? 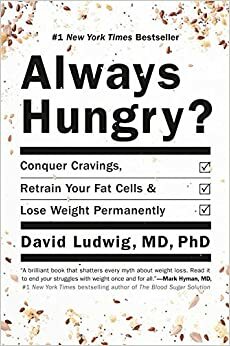 Conquer Cravings, Retrain Your Fat Cells, and Lose Weight Permanently by Dr. David Ludwig and Grain of Truth: The Real Case For and Against Wheat and Gluten by Stephen Yafa. Both of these books provide a balanced, critical examination of carbs in general and flour in particular. This post is awesome!! The time you put into gathering information about flour is amazing not to mention putting it into a post for all us who pick up a 5lb bag of Gold Medal and never think twice about it. While I’m probably not going to be making my own flour I respect and admire your dedication to healthy eating and sharing your knowledge on the blog. Proud of you!!!! Yes I watched the entire season 1 of Cooked…. very interesting and informative. It reminds me of “back in the day” when we would go to the garden and get potatoes, carrots, green beans, tomatoes and add them to a cast iron pot of browned stew meat and cook all day for supper. We didn’t mill our own flower… but we had cornbread with the stew!!! Hello Keri! I saw your comment on my blog and thought I’d pop over to have a look. (As it’s Thursday, and I’m preparing to write my article. 😉) This is a wonderful article, that has prompted me to write one of my own, explaining why wheat is such a problem for so many people. I’d love to one day take the time to grind my own flour. For now, I purchase organic Einkorn (an ancient form of wheat, untouched by genetic manipulation). I LOVE sourdough bread, and make it for my own family. Unfortunately, I am unable to enjoy it myself. I have been gluten free for 8 years, but only started making sour dough about a year ago. After not having any wheat for more than 8 years, I gave my homemade sourdough a try. Within a few hours, I had 2 or 3 canker sores forming in my mouth. I knew, if there were sores in my mouth, the same thing was happening to my small intestines. Some people just can’t handle the proteins in grains. (I’ll write a post and explain why) I thought the fermenting would help, unfortunately not. I LOVE your site! It’s gorgeous! Your pictures are amazing! I’ll be posting my Thursday article, highlighting your site, later today. Thanks for doing what you do and keep up the good work.